Many people rely on elevators in Salt Lake City every day, both in the home and in commercial buildings. These elevators don’t stay in good condition on their own, which is why elevator maintenance is necessary. 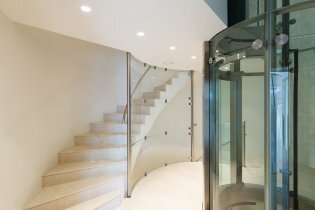 Maintaining a commercial or residential elevator involves a few different components. It helps to work with a professional elevator maintenance company to ensure that your elevator stays in top shape for as long as possible. If you have an elevator in your home or workplace, read on to learn more about elevator maintenance. Your elevator offers practical and convenient access to different floors of your home or business. When your elevator suffers a malfunction or breakdown, you limit access to important areas. Since this can cause you to alienate customers and potentially lose business, it’s crucial that you get your elevator back on track as soon as possible. The more committed you are to maintaining your elevator, the less likely you will be to suffer a breakdown. While performing routine maintenance, your elevator specialist can locate and diagnose problems before they develop. This can help keep your business up and running at full capacity. Though it only moves in two directions, an elevator relies on a multitude of components in order to function properly. If one of these components stops functioning, you could have a real problem on your hands. Your elevator specialist will visit you on a regular, predetermined basis to make sure that all of your equipment is in proper working order. If necessary, he or she can also replace components that are at the end of their working lives. It’s important to have a working relationship with a quality elevator maintenance and repair company. Choose a company that has been established in the industry and values customer service. Though it helps to work with a company that offers emergency repair, sticking to a regular maintenance plan may eliminate the need for it. Have you ever thought about the history of elevators? Elevators are a convenience that many people take for granted, but the modern elevator has only been in existence since the mid-1800s. Ancient civilizations used primitive methods for moving stones, crops, and water into place, including for such notable landmarks as the Great Pyramids in Egypt. King Louis XV utilized a “flying chair” to access different floors in his residence in the 1700s, but it was not until 1854, when Elisha Grave Otis demonstrated his “safety hoist” at the New York City World’s Fair, that elevators became a viable way to move people. In 1857, the first commercial passenger elevator was installed in a department store, and as time passed, elevators came to rely on electricity instead of steam for power. Take a look at this infographic from the Salt Lake City elevator maintenance experts at Carson Elevator LLC to learn more about the evolution of elevators. Please share with your friends and fellow history buffs! Not all elevators are for people. If you are looking for a quick and easy way to transport food and other goods from one floor of an establishment to another, consider a installing a dumbwaiter in your Salt Lake City building. There are many kinds of dumbwaiters; it helps to consider your needs and survey your options before making a choice. If you think you would benefit from installing a dumbwaiter, keep reading for tips on dumbwaiter selection. The right dumbwaiter can prove invaluable to your home or business, but the wrong one can be a waste. Before you begin the search, think about what you will be using your dumbwaiter for. Consider the weight of the average load to be sent up or down, and think about how quickly you will need it to move. There are also different opening options to choose from. Talk to your elevator and dumbwaiter specialist to determine what size platform you need, and finally, think about the aesthetic value of the installation. Never hesitate to talk to your specialist for help selecting the perfect dumbwaiter for your needs. Before you step onto an elevator in Salt Lake City , you should know how to behave. This is especially true when it comes to a commercial Utah elevator. Remember that everyone has somewhere to be and that your time is no more important than that of the other passengers on the lift. Watch this video for tips on proper elevator etiquette. Society runs smoothly when everyone cooperates, and it is easy to do so when using an elevator. Most elevator etiquette comes from common sense; don’t disrespect other people on the elevator, and consider their personal space. Sometimes elevators can get cramped, at which point it’s extra important to be respectful. Don’t hold the door open for a long period of time when the elevator is full, and allow people to get off before you attempt to get on.